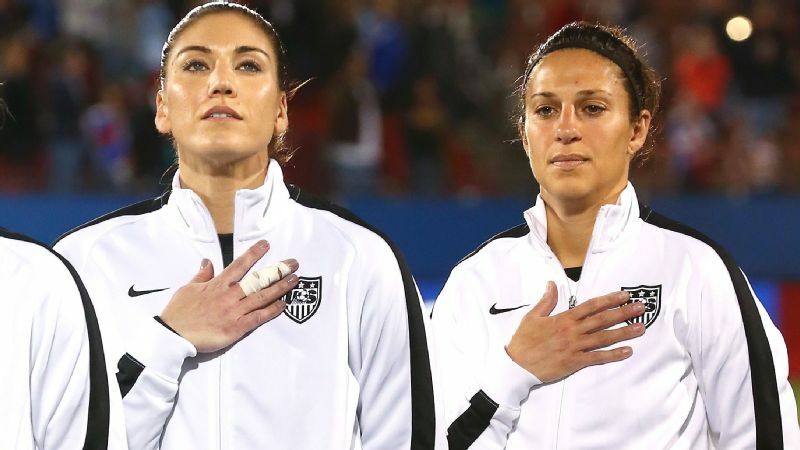 The U.S. Women's National Team Players Association announced changes to its representation. 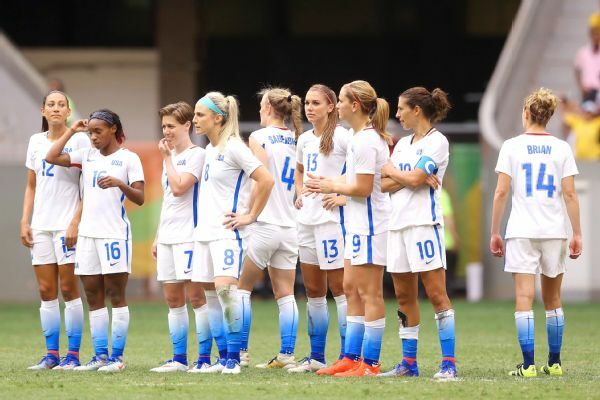 About a year ago, the U.S. women's national team was embroiled in both lawsuits and collective bargaining agreement (CBA) arguments with the U.S. Soccer Federation. There was litigation, frustration about equal pay issues and even rumors of threatened strikes. In short, it was messy. So the news that the team is reorganizing its players association and hiring a new legal team brings an audible ahhh. It just feels right. After the drama of 2016, the move is a much-needed step in the right direction. Why isn't the USWNT using its fair-pay clause? In January of 2016, Rich Nichols, the previous representation of the U.S. Women's National Team Players Association, told the federation that the union believed the CBA didn't exist. In response, the USSF sued the players' association in February to confirm the CBA's existence, saying it feared the team would attempt to sit out the Rio Olympics. A federal judge eventually ruled in June that the team was bound by a CBA that did indeed exist and its no-strike provision. Then, in March, five players filed a complaint with the federal Equal Employment Opportunity Commission, stating that the women's team was being paid about a quarter of what the men earn despite generating nearly $20 million more revenue last year. U.S. Soccer said that much of the pay disparity was the result of differences in the collective bargaining agreements with each team. So after all of that, the team is making changes. The union brought in a new executive director in Becca Roux, a spokesperson in Molly Levinson, new player representatives in Meghan Klingenberg, Christen Press and Becky Sauerbrunn, new committees within the players' association and a new advisory board. You get the idea. The moves are player-driven and full of potential. The team is rolling up its sleeves and, by all indications, taking back control and ownership of the image they want to represent. You can feel it in talking to players, you can see it in the mood of the team and you can sense it in this palpable, positive shift. "Internally, we made a commitment to putting in more structure, applying players to the roles they felt passionate about and coming together to figure out what we wanted as players," Sauerbrunn, co-captain of the USWNT, said by phone. "What did we want the players' association to stand for? Then, we found people around us that would reflect that with their specialties in labor law and business." Roux, the new interim executive director, arrives with a background in business development, enriched by her time at consulting firm McKinsey & Co. Roux explained why this new job had such appeal: "My personal passions are in this space as an athlete and a woman deeply committed to advancing women and women's sports. I am a romantic about sports. There is a purity to play and competition that is a unifier." Roux said the focus will be on revenue growth and "commercial opportunities" to elevate the team and the players' association. Another goal will be giving back to players, she said, citing internships and off-field professional development. 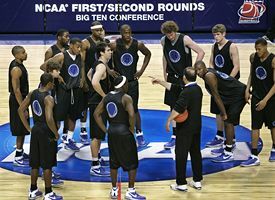 Under Nichols, the tone coming from the players' association in labor negotiations was often combative and contentious. That is going to change. "We had a meeting with U.S. Soccer at the end of our January camp where we introduced our new legal counsel," Sauerbrunn said. "We also addressed changing the tone. Both sides felt that was needed for moving forward. Now the tone feels more collaborative and we are coming together to get an agreement that is fair for both sides." 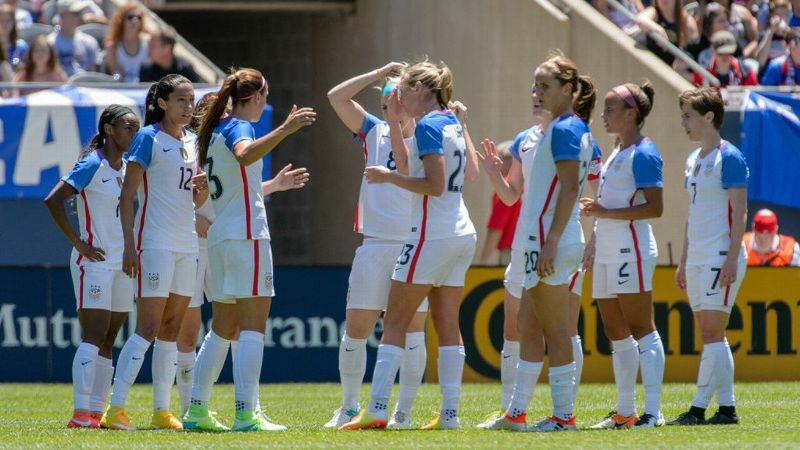 At a National Women's Soccer League news conference Thursday to announce a partnership with A+E Networks, U.S. Soccer president Sunil Gulati said he was "quite confident" that they'll sign a new CBA with the women's national team soon. "There are a number of meetings scheduled over the next few weeks. They've had a change of leadership, and there's a very different tone to the discussions," he said. Sauerbrunn also said she's hopeful that a deal gets done in the coming month. But don't mistake a changed tone from the players with a less fiery intent to fight for what they think to be fair. And this team deeply believes that its mission is also about giving inspiration to women of all ages. 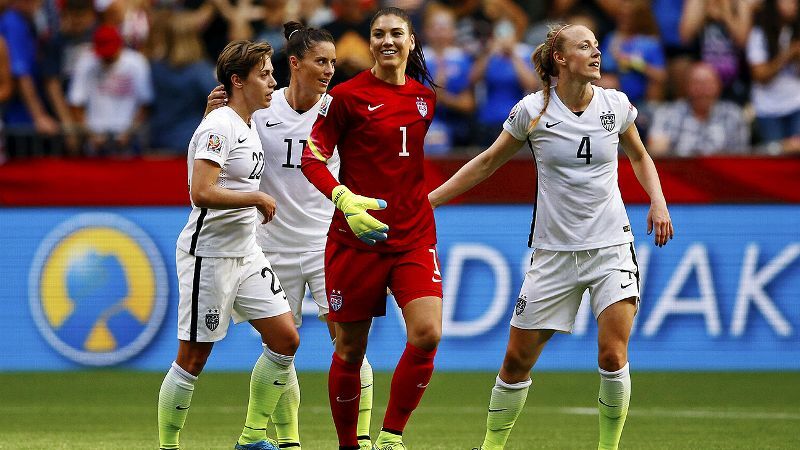 It's not just about sports or soccer -- it's the messaging and example of YES, YOU CAN. All of these changes to the players' association, of course, do not happen without a ton of work. "We did not want it to distract from our performance on the field, so we wanted players who were passionate about doing this," Sauerbrunn said. "What we found is that it has been extremely fulfilling and, at the same time, given us a huge learning curve in all that we have dabbled in." The changes also bring some risk. It costs money to hire an executive director and bring more people on board. The move requires revenue and growth. But the beauty of this women's national team -- young and old -- has always been about chasing what others deemed to be impossible ... and then demonstrating that the parameters of possible are just that: an illusion meant to be shattered.